Home » Test Drive of Eco-Friendly and Gas-Friendly Vehicles » Nokian zLINE A/S: Nokian makes an all-season tire? It’s terrible for me to admit that I was not aware that Nokian, one of the world’s oldest tire makers, produces and sells an all-season tire, sorry, tyre. To find out if I was alone or had been living under a rock for too long, I asked a number of industry people including some tire guys about it. Although all knew about Nokian’s long line and history of excellent Hakkapeliitta winter tires, none, and I do mean not one, had heard of the zLINE or that Nokian even sold an all-season tire. Clearly then, Nokian’s got some work to do to get the word out and that’s where I come in. If their zLINE all-season tires are anywhere near as good in clement weather as their Hakkas are in the worse winter driving conditions, I’m in for a treat. That’s right, inquiring minds need to know. 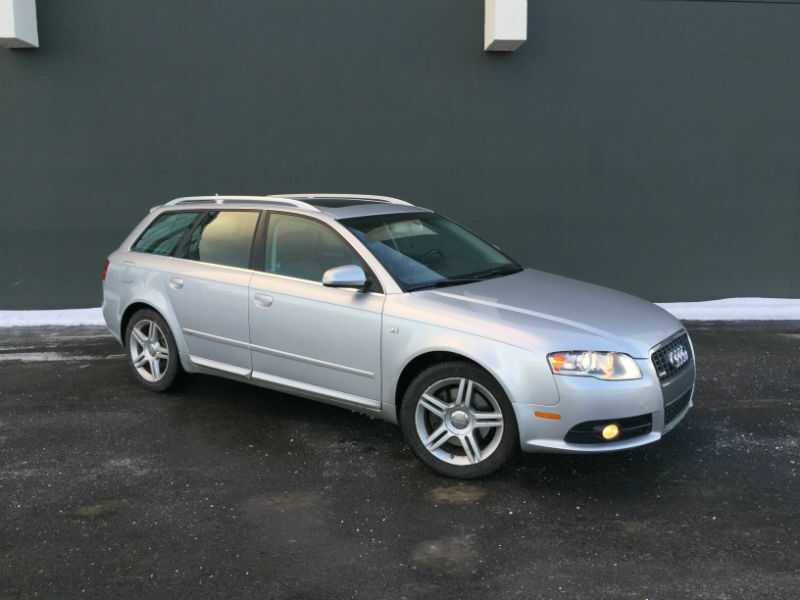 In a lucky string of emails and communications, I was able to score a set of 235/40R18 zLINE A/S rubbers for my latest acquisition, a 2008 Audi A4 wagon 2.0T, with a 6-speed manual gearbox, thank you very much. In the meantime, I’ve read up on the zLINEs and have already heard some encouraging comments. What I require most from my tires is a smooth, quiet ride, good water evacuation and decent handling. The A4 is the family car and thus I don’t need a tire to pull 1g of lateral acceleration or a “Y” speed rating capable of handling 300 km/h or more. The zLINE tire are, however, very gifted. It then gets better from there as the multi-layered structure uses a number of various compound that not only increases durability, so more mileage, but this is a low rolling resistance tire! Talk about the complete package! One comment I got from my wheel/tire guy that I found very encouraging was that the mount and balance on the wheels required very few weights. He compared the discovery to his experience with Michelin tires which are consistently of top quality. In other words, if I feel any vibrations in the Audi’s steering wheel this summer, the problem will not be the tires. I’ve reviewed many tires over the last 15 years and I don’t think I’ve ever been more excited about putting new rubber to the test. Now, if only winter would go away already!